Welcome to the Teco and Lotte Chronicles... 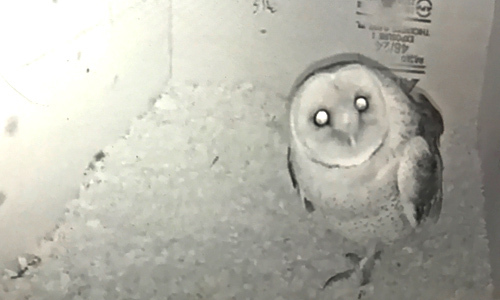 In December, 2016 we installed a barn owl nest box at the Haute Enchilada in Moss Landing California - part of the restaurant owner's commitment to sustainable practices and environmental stewardship. 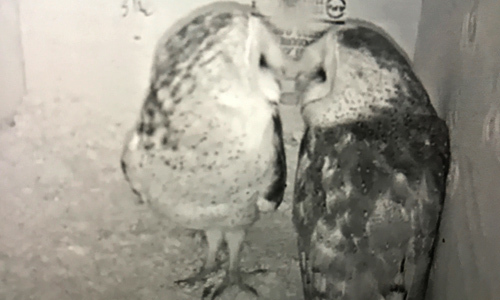 A pair of resident barn owls took to the box quickly. 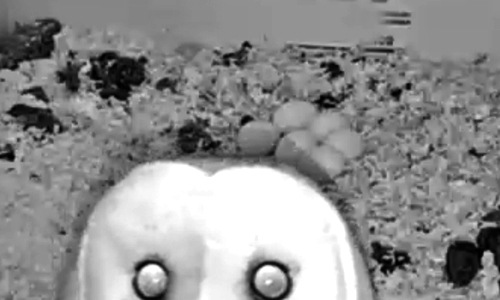 By January, the first egg was laid. Check back for frequent updates and happenings inside the nest. View the live stream on YouTube at Teco & Lotte. February 19th, 2017 Chicle coughs up, likely, his first pellet. Video coming soon. February 14th, 2017 In the Californian! February 8th In the Monterey Weekly! February 4th, 2017 06:44 There is a chick!!!! February 2nd In the Santa Cruz Sentinel! January 9th, 2017 19:40 FOUR!!!! 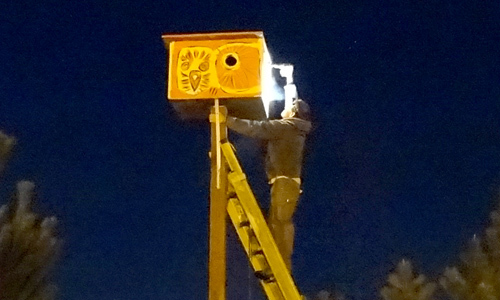 The camera was installed after dusk. 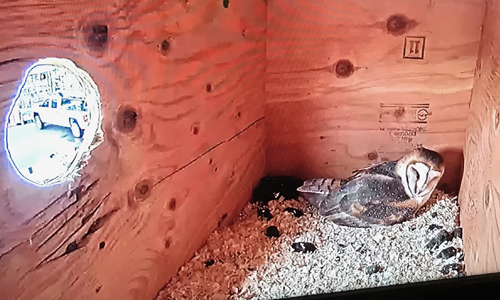 The nest box was installed.